This woman with arthritis is using an adaptive utensil to help with eating. Arthritis interferes with this woman's ability to carry out her daily activities. 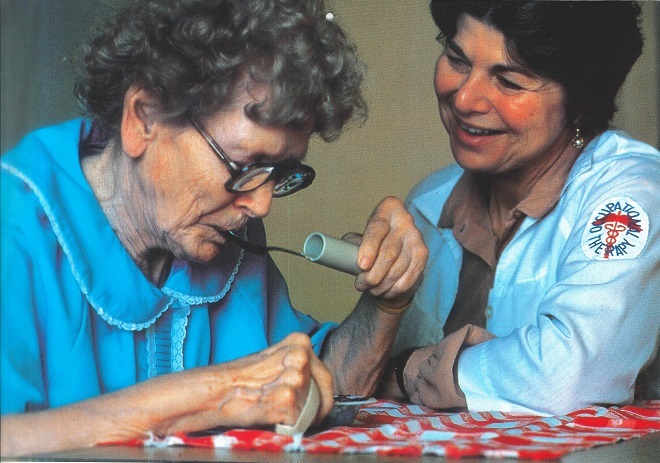 The occupational therapist has provided special eating utensils to help her eat.